A philosophy of offering the best solution for the application has enabled JDP to achieve a strong position in the supply of commercial sewage treatment products, attaining a combination of installation and long term cost savings for customers along the way. JDP offers a variety of solutions designed to treat the sewage from a vast range of products which include the latest developments and standards. With the continued tightening of environmental legislation the correct handling and discharge of sewage from developments not on mains drainage and waste water that is discharged into main adoptable drains has become a very important aspect for commercial, public & industrial buildings. JDP's experience, supplier relationships and knowledge of regulations enable us to advise and help these market sectors avoiding potentially costly mistakes by installing the most appropriate solution for the treatment of waste. By the 1st January 2020 all septic tanks that discharge into a watercourse or a ditch will need to be replaced. The UK Environment Agency has set this date as the final date, any property that is sold before this date will have to replace the septic tank with a sewage treatment system. It is estimated that 60% of sites will fail the new legislations. In January 2015, new rules were introduced that simplified the way septic tanks and small sewage treatment plants are regulated in England, protecting the environment and improving water quality. What are septic tanks and small sewage treatment plants? SEPTIC TANKS are underground tanks where solids sink to the bottom forming sludge and the liquid flows into a drainage field where bacteria treat it as it soaks into the ground. They're not allowed to discharge into a watercourse. work in a similar way to septic tanks but use mechanical parts to aerate the bacteria, which makes them more effective at treating waste water and means they can discharge treated sewage into a drainage field or directly into flowing water. 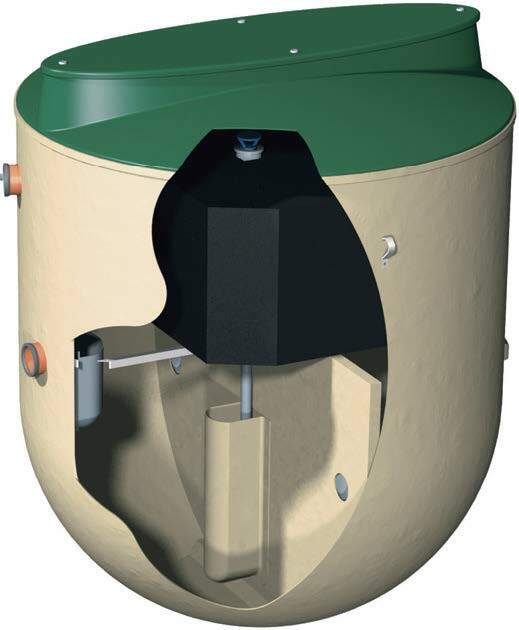 CESSPITS/CESSPOOLS are different because the raw sewage is stored in a sealed tank, rather than being treated and discharged, which means they are not covered by the general building rules. They must be emptied when full and must not be allowed to overflow or leak. Go to www.gov.uk/small-sewage-rules for more information, if you are unable to follow the rules, are worried your system may be causing pollution or want to check your system needs a permit.